Yayoi Naoshime has been a favorite artist for some time now and it was utter shock when I learned she partnered with Marc Jacobs and Louis Vuitton to produce polka dotted bags and scarves. 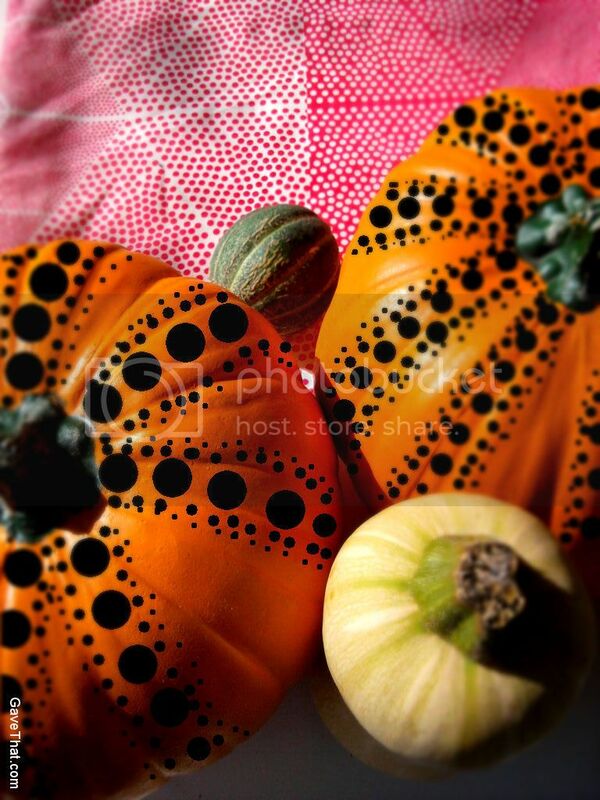 Despite creating many forms of art the piece that has stood out the most are her giant pumpkins in Naoshima Japan and here are a few equally dotty Halloween pumpkins. Black construction paper cutouts using paper punchers or, another method is with good old electrical tape, help form the more uniform dots Yayoi Naoshime is known for. 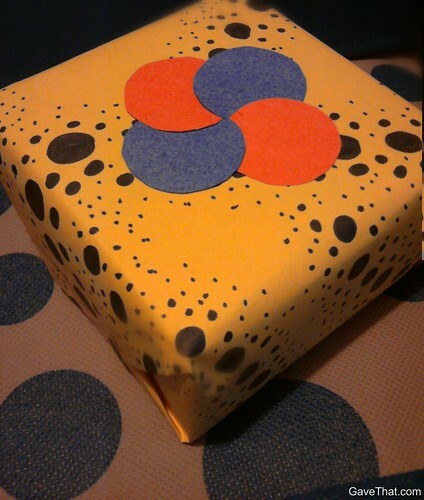 Yayoi Naoshime has been photographed with polka dot boxes too which inspired the above homemade wrapping paper (regular pumpkin yellow paper with Prismacolor dots). On top is something else gleamed from the 70's, gift toppers made out of simple circle cut outs that, when overlapped, form the above embellishments.